The American farmhouse first appeared in the 1800's and served simply as a residence for farming families to live where they worked. 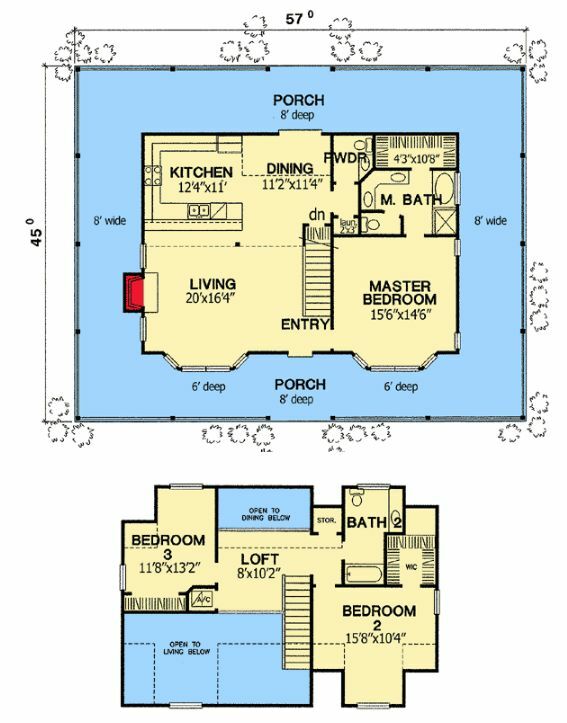 The style varied from region to region but had a few key characteristics such as a large porch, an easily accessible kitchen with plenty of workspaces and room for family togetherness. Large families were essential to successful farming ventures, and today's farmhouses still keep family at the forefront. 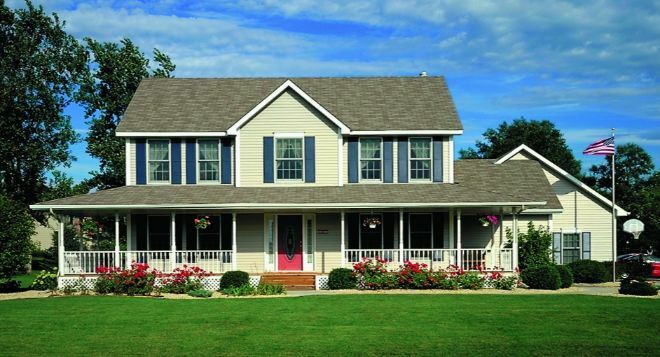 Traditional values mixed with modern layouts make this style home a popular one. Check out the six layout plans below, and click on the title link if you're interested in purchasing one of them. 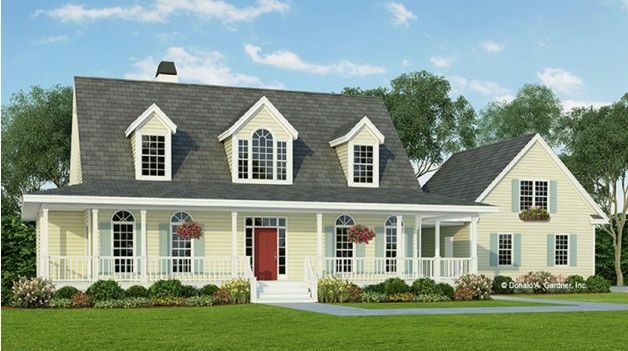 This plan features a partial wraparound porch and roof dormers, making for a traditional exterior style. A spacious great room with high ceiling is connected to a dining room separated by columns. The kitchen includes a bright breakfast nook. 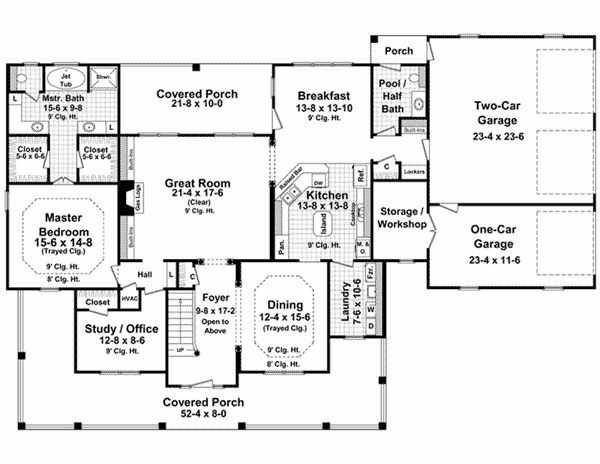 The master suite with a sitting area and two walk-in closets is on the left side of the house. 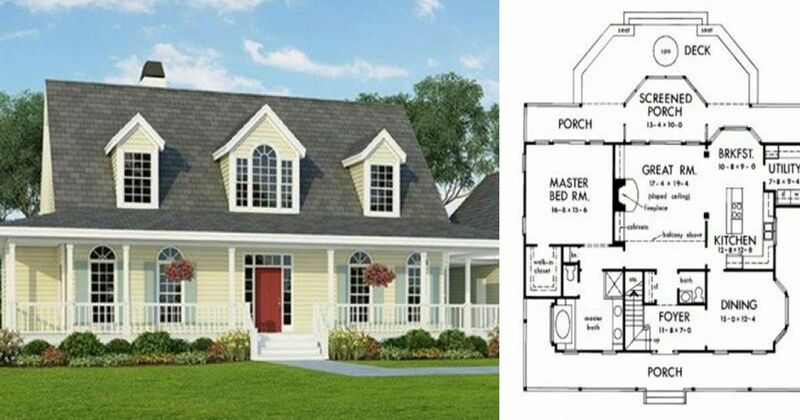 Two additional bedrooms are located towards the front of the house. 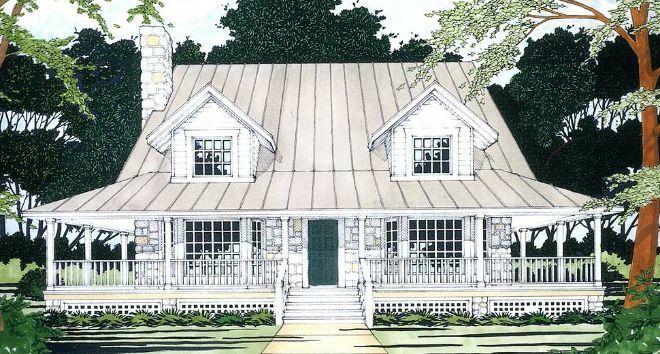 This beautiful home fits the mold of the American dream. 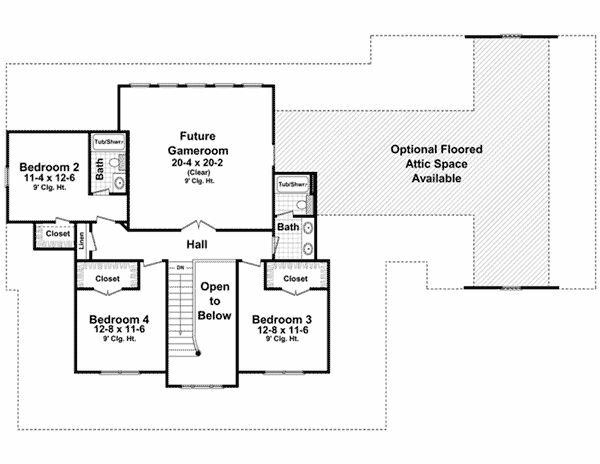 The foyer is flanked by a dining room on the right and a study on the left. The great room is warmed by a fire place and includes views to the back porch. The spacious island kitchen is connected to a breakfast area. 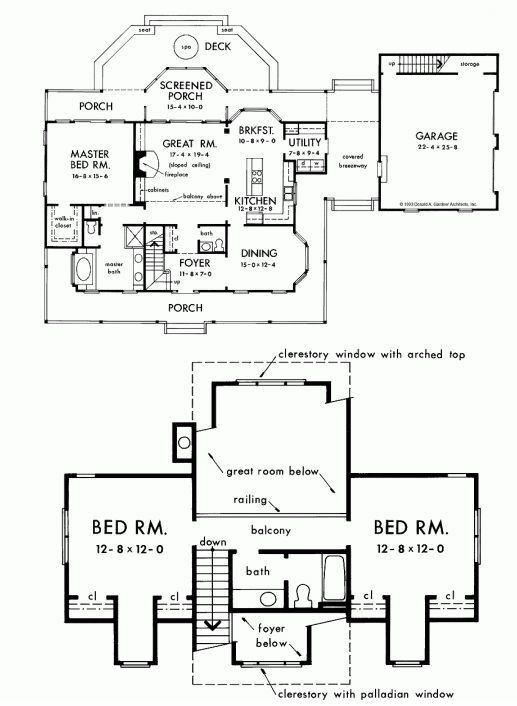 The master suite with a trayed ceiling is on the main floor, while three family bedrooms and a game room are upstairs. 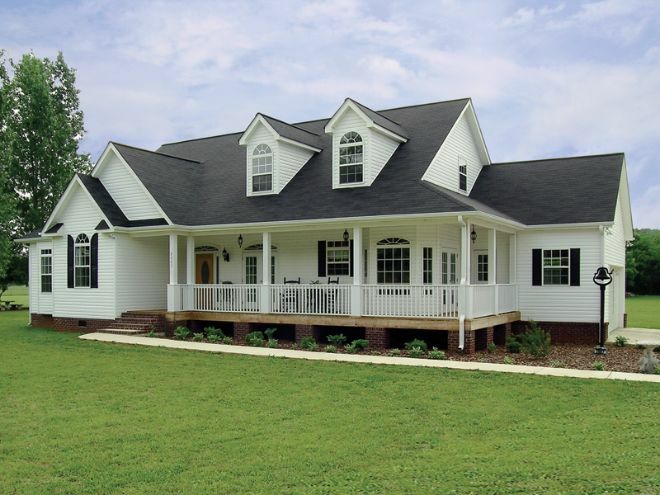 A covered porch wraps around three sides of this farmhouse design. Inside, formal living and dining rooms flank the foyer. 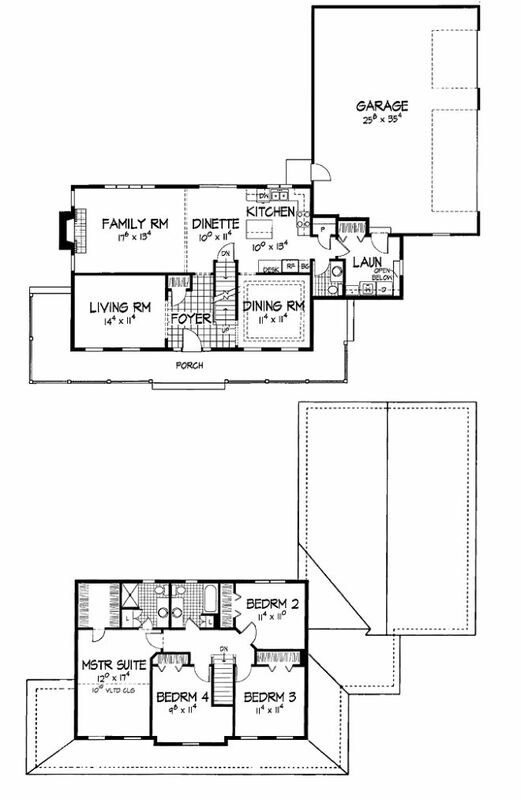 The kitchen serves the dining room and dinette and includes a central island, built-in desk and pantry closet. The laundry room is conveniently located off of the garage. 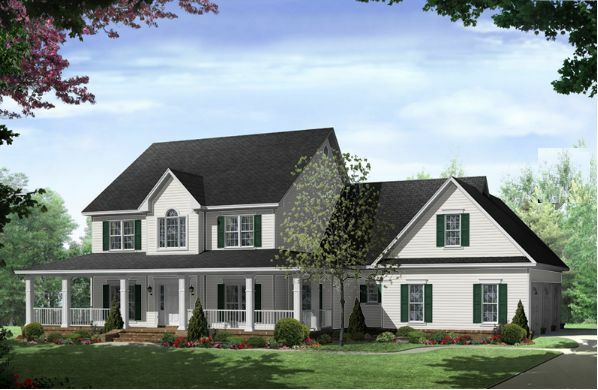 On the second floor, you'll find three secondary bedrooms and the master suite. The porch wraps entirely around this country farmhouse. Two dormers and a charming stone chimney add character. The entry leads into the two-story living room with a fireplace and bay window. A peninsula eating bar separates the living room from the U-shaped kitchen. The master bedroom is privately located on the main floor. Upstairs is a loft and two family bedrooms. 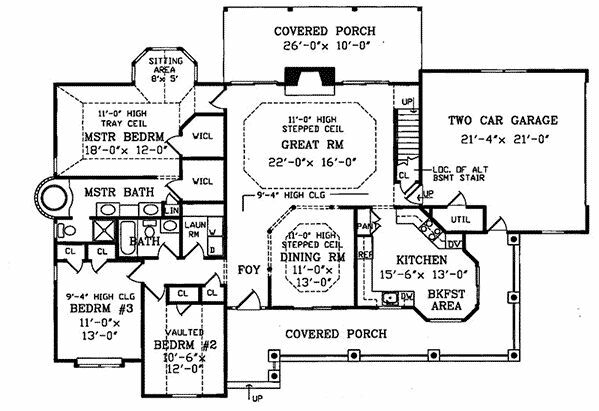 Victorian detailing adds something unique to this elaborate farmhouse plan. The foyer is connected to a formal dining room and an office. Straight ahead you'll find a great room with tall ceilings and a fireplace. A breakfast bar separates the kitchen. The master bedroom and spacious master bath is on the main floor. Upstairs you'll find two bedrooms and a computer room. This farmhouse includes plenty of windows for a bright and beautiful interior. The spacious great room boasts a fireplace, cabinets, and bookshelves. The kitchen with a cooking island is conveniently located between the dining room and the breakfast room with an open view of the great room. 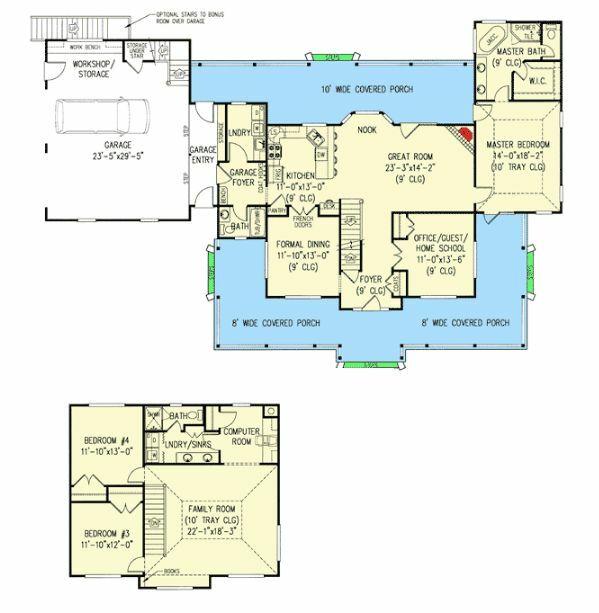 A generous master bedroom has plenty of closet space as well as an expansive master bath. Upstairs are two more bedrooms and a balcony open to the great room below.